Sofat Infertility Centre provides the infertility treatment to males and females both. Sofat Infertility Centre is the top-notch centre that provides the best infertility treatment to the patients. We provide treatment like IUI, IVF, OI, ICSI, Azoospermia, Embryo freezing, Laser Hatching, Blocked Fallopian Tube, Low Sperm Count, PCOS, TB etc. 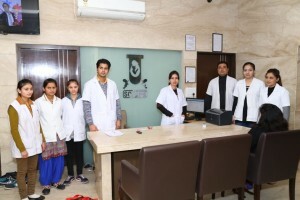 We are also known as the best IVF centre in Punjab.